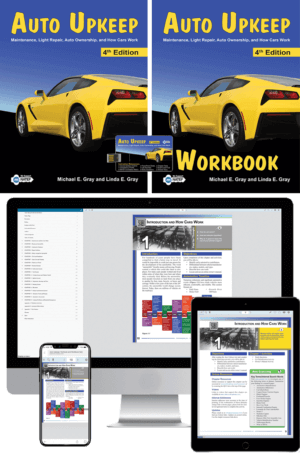 The Auto Upkeep eBook can be read on tablets, desktops, laptops, phones, and other devices that can access the Internet. Learn about the different features and capabilities available in the RedShelf eReader. Learn how to navigate and search in the RedShelf eReader. 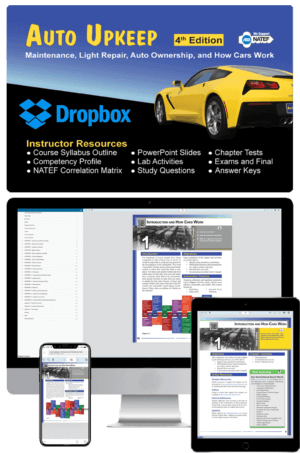 Learn how to create, edit, and engage with notes and highlights in the RedShelf eReader to get the most out of your study sessions. Learn how to create, edit, and study with flashcards in the RedShelf eReader. Learn how to engage with the collaboration tool in the RedShelf eReader. Learn how to determine printing allowances and how to select text to print in the RedShelf eReader.